Band Directors Stephen Krupicka and Elizabeth Frietsch with senior band members. From left, back row, are Frietsch, Krupicka, Abby Tieken, Kelsey Berkman and Trevor Bryan; front, Coy Mathis, Eric Estrada, and Matthew Foster. 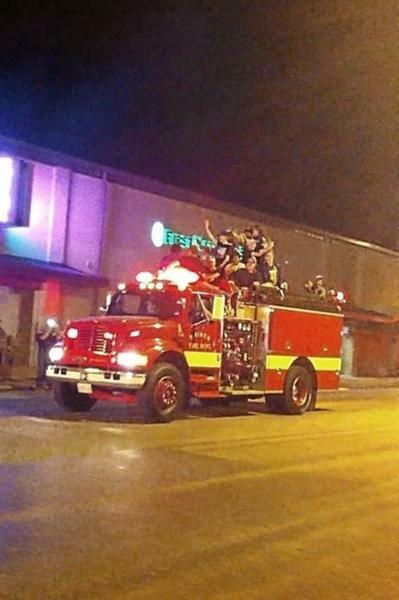 Bright, red fire trucks drove through downtown Shiner on Tuesday night to celebrate the Shiner Comanche Marching Band's win at the UIL Texas State Marching Band Contest on Monday. 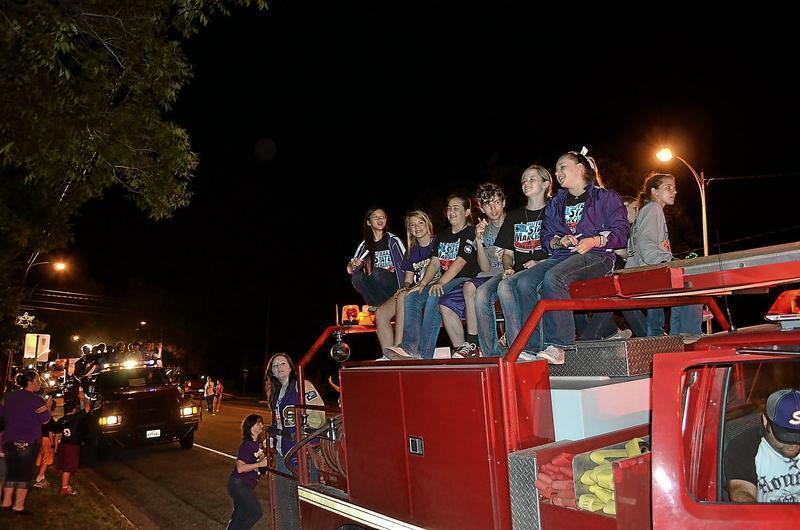 As a tradition, the city of Shiner honors students who win state-level competitions by allowing them to parade through downtown atop the city's fire trucks, said Stephen Krupicka, Shiner Comanche Marching Band director. 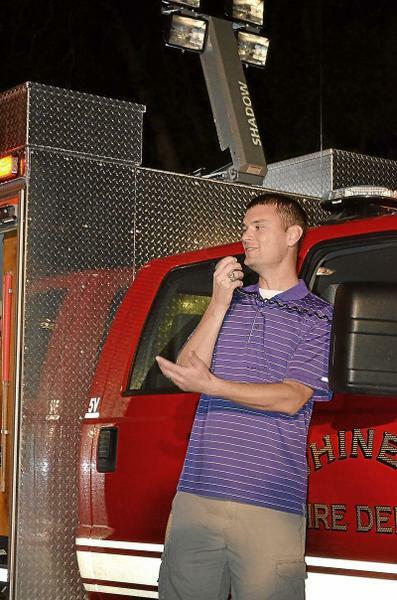 "Everybody in Shiner is really excited about this right now," Krupicka, 33, said. "We have a really strong musical heritage here, and the kids are fired up about it." The community also supported the band. "It's just amazing; it chokes me up every time," said Julie Gamez, Shiner school board member and mother of a former band member. 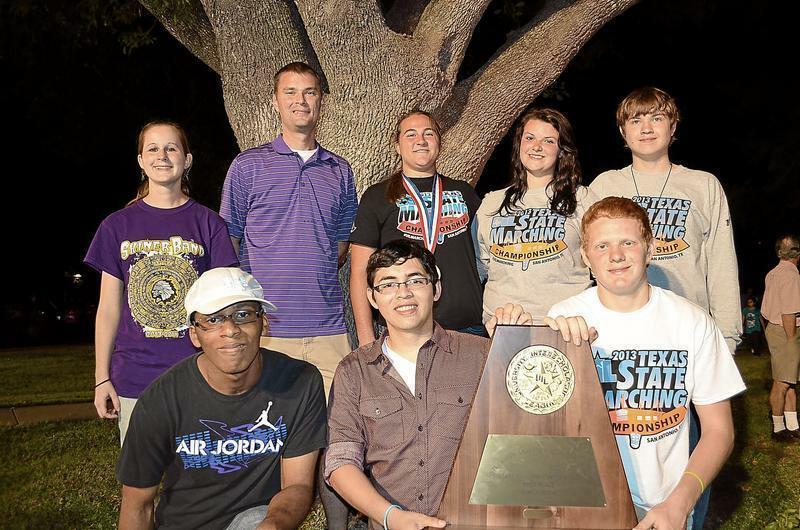 "These kids do so much for the band director because they believe in him." Her daughter, Emily Gamez, was a member of the 2011 band that placed second at state. The 70-member Shiner High School marching band took first place in the 1A division of the state UIL marching contest Monday at the Alamodome in San Antonio. 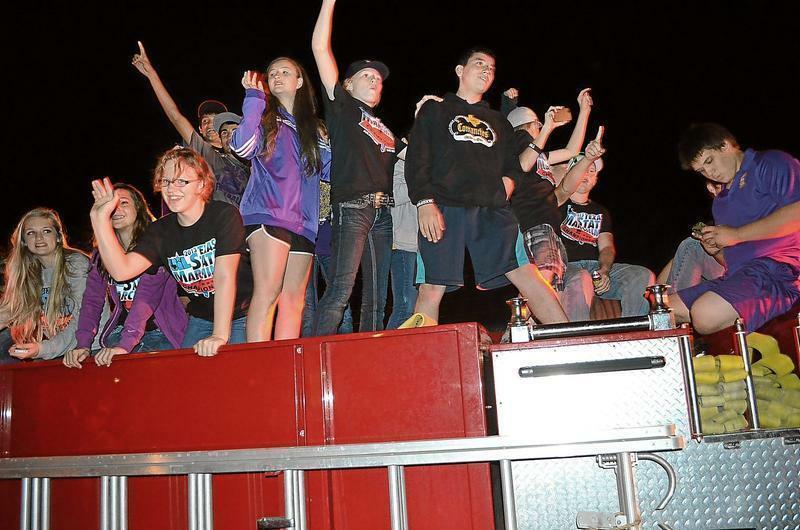 This was the first time in the high school's history to win the state marching band championship, Krupicka said. The marching band is allowed a chance to compete in the UIL state competition every other year, according to UIL rules. In 2011, the band placed second at the state level. In 2007, they placed fifth, Krupicka said. The band's second place win in 2011 served as an encouragement to students this year, the director said. 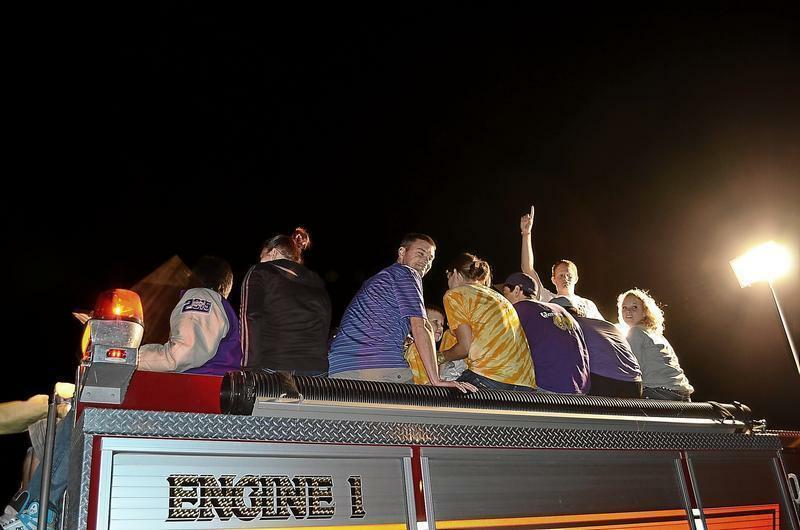 "It was a huge shock for all of us to place that high," he said. "It gave us the motivation this year to take charge and see what we could accomplish." 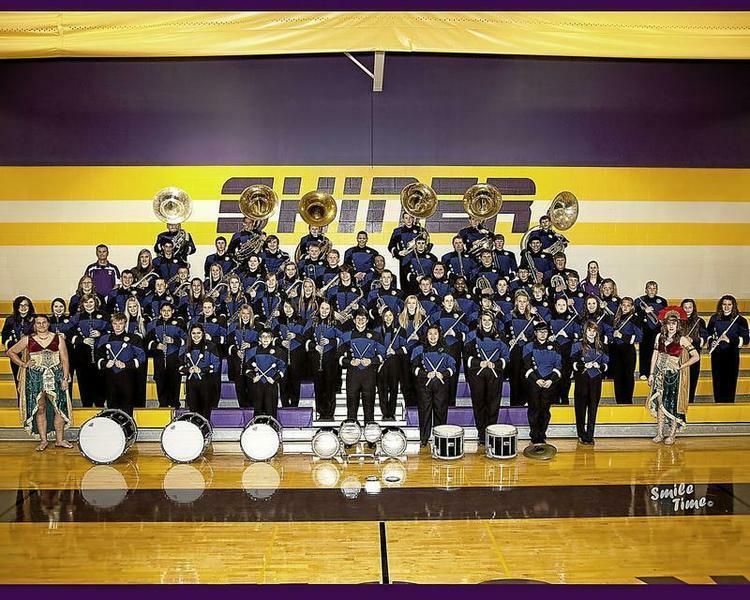 On Monday, Shiner beat the Sundown High School marching band, which won the two previous state competitions, by one point. "They were like, 'Wow, we just beat the band that everybody thought was unbeatable,'" Krupicka said. This year was junior Chris Herman's second time to compete at the state level with the Shiner marching band. "It was awesome; it was amazing," said Herman, 16, who plays the trumpet. "When they called out our name, tears fell down my face. I was bawling like a little girl." All photos courtesy of Laura Stluka except Shiner Band Portrait by Smile Time. CONGRATULATIONS BAND -- 2013 1A STATE CHAMPIONS !